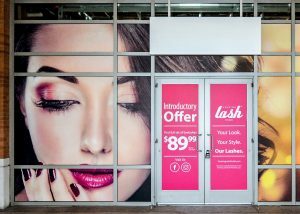 Excite, educate, and inform prospective future customers or clients with enticing window graphics showcasing your latest merchandise or solutions. 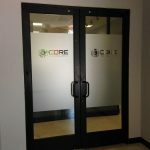 If you are selling your hottest products, you are looking to supply privacy to your guests within your facilities, or merely want to educate your possible customers about how your business can make their life better, attractive vinyl window signs and graphics get your company seen and recalled. 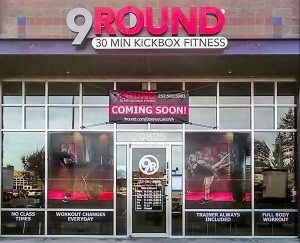 Custom Signs and Wraps is your leading hometown vinyl window signs and graphics company, generating appealing window graphics, clings, signs, and displays that instantly improve your brand visibility. Custom Signs and Wraps delivers effective window signs for building visibility and brand awareness. 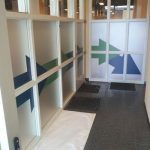 Our knowledgeable sign and graphics experts help you by delivering specialty window graphics that support your marketing objectives, are complementary to your current marketing elements, and sell your products and services. Our team of experts work hard to provide the right signs and graphics to support your marketing goals. We find out about your company and brand to make educated recommendations for custom signage solutions that you are proud to display. Our dedicated professionals are eager to reinforce your marketing goals with durable window graphics, banners, lettering, signs, wraps, and more. Retail stores have a lot of time and energy invested in their front window displays. A visually-striking window display is fabricated to invite motivated possible shoppers inside your facility. 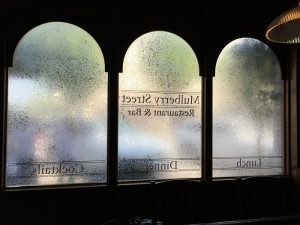 If you’re promoting a special promotion, event, or sale, or are looking to boost sales connected to a new, high-ticket product, exciting window displays are an outstanding way to do this. Typically, promotional window displays are refreshed very frequently to present the latest, hottest merchandise you provide. Custom Signs and Wraps can offer you engaging window graphics, signs, and displays to promote interest in your specific events and sales and relevant goods in an eye-catching way that can attract more visitors. Multi-office buildings, such as service professionals, law firms, insurance brokers, real estate agents, counselors and therapists, and many other business types, apply high-quality vinyl window film on their business facade windows for promotion, privacy, or branding functions. Our team of experts provide privacy film that offers the same look and feel as a frosted glass window panel, minus the hassle and expense of permanent glass. Integrating your business name, logo, and other branding elements within your privacy film is an appealing option for improving your business awareness while retaining appeal. Our dedicated sign and graphics experts will manufacture the right privacy film crafted for your business and clientele, or provide samples of frequently chosen vinyl film solutions that will support your goals. Even a service provider can attract more new customers with a custom window display! 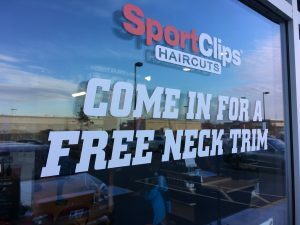 Put your windows to work with custom signs, graphics, banners, murals, posters, and lettering demonstrating your most beneficial solutions, seasonal deals, or even make an engaging custom window display that showcases your business does best. Our experienced custom signage designers consider your unique business goals to generate the perfectly branded display that your business wants. We take care of the manufacturing of your custom window display as well as experienced installation of your custom graphics. 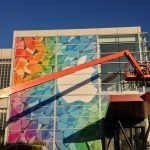 When you need a professional window graphics partner to deliver the high-impact window displays your business requires, Custom Signs and Wraps offers the solutions for your brand. 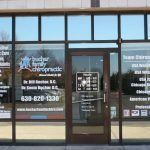 Call Custom Signs and Wraps today at 630-448-5558 for your Free Consultation with a Window Graphics Specialist!